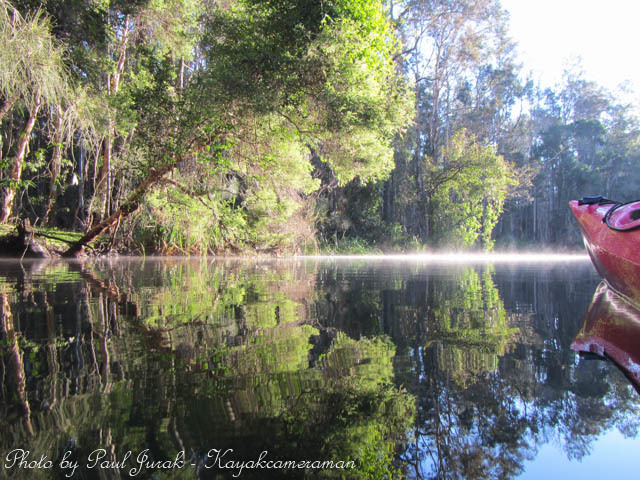 14 July 2014: It felt like I was paddling through a corridor of mirrored reflections on the magical Maria River on the mid north coast. The scenery was stunning and I had the entire upper section of the river all to myself. This is one river that constantly treats me to many wonderful experiences every time I explore it. I hope you like the photostory. 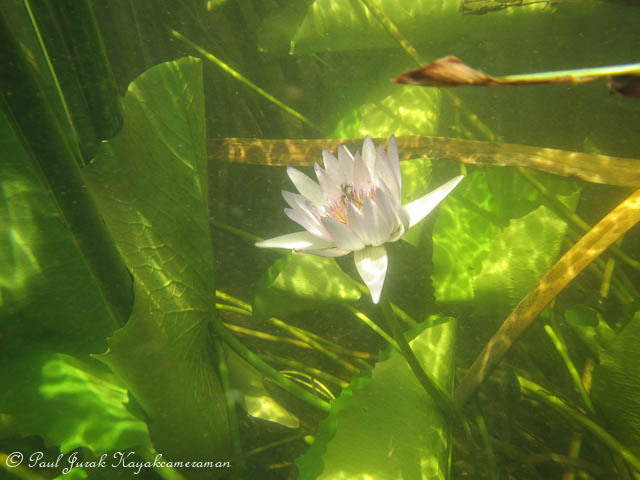 1 Jan 2013: Today I was taken into another world as I explored the beautiful Maria River. This is truly one stunning river, it has so much to see and so much discover. You just drift amongst its meandering arms and quickly you become immersed in its world. 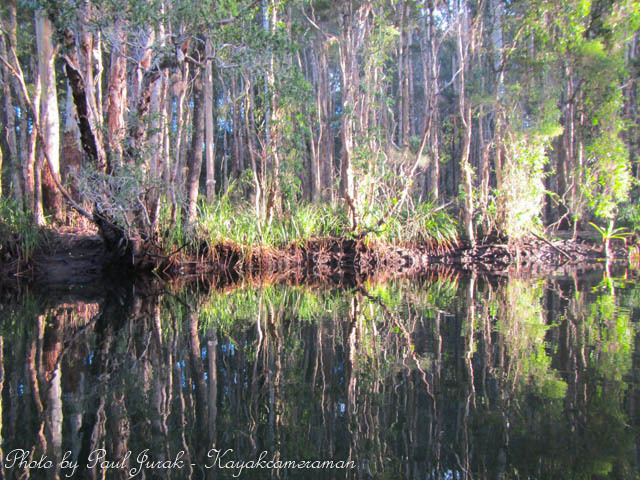 The visuals on top and underneath the waters surface are mesmerising and you are accompanied by the brilliant sounds of the Australian bush. I just love the world which it takes me to. 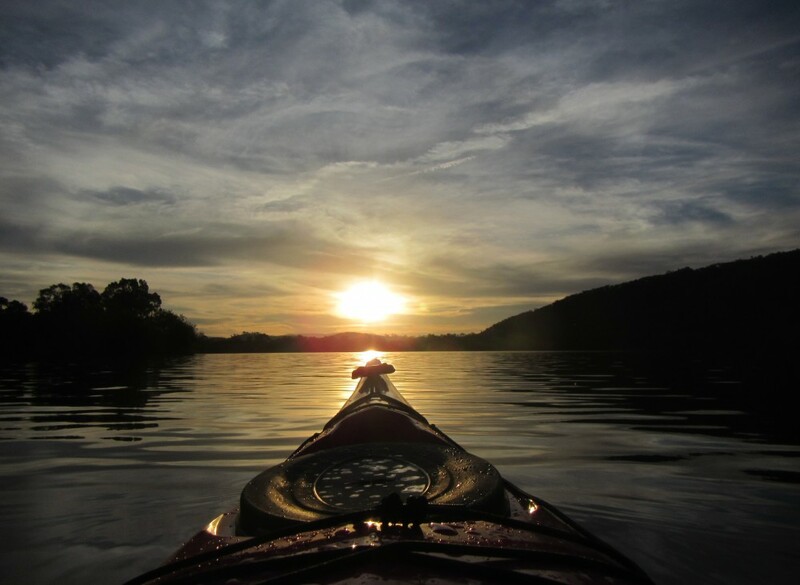 Today I was only going for a quick hour paddle but it ended up turning into a four hour wonder odyssey. 28 Dec 2013: The magical Maria River never disappoints. I always look forward to experiencing this wonderful river which really should be called the river of relaxation. 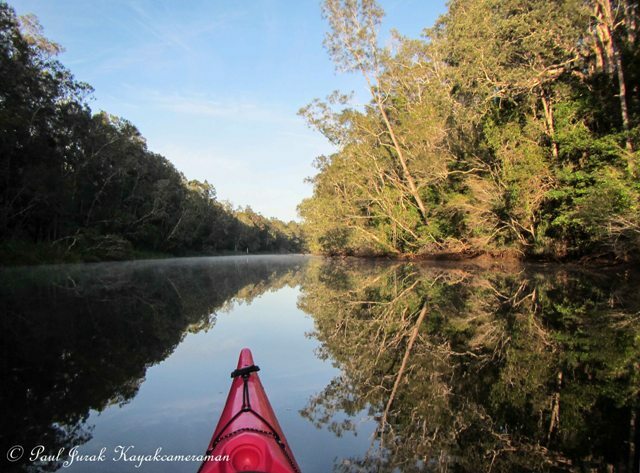 I’m so lucky as there is so many arms of this stunning waterway for me to explore over the next 10 days….Can’t wait! What a magic start to the day. 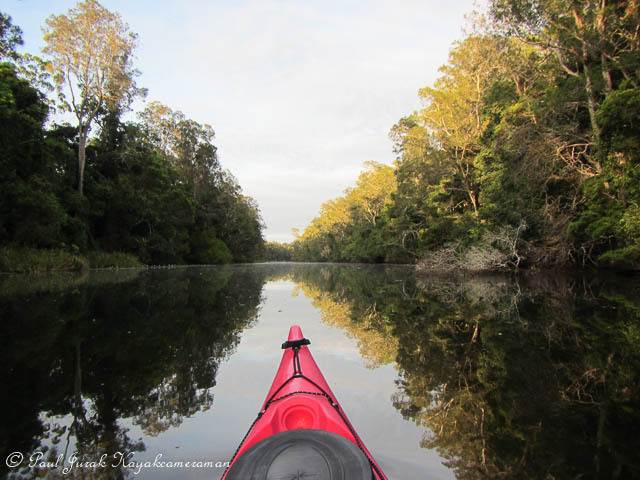 6 OCT 2013: All I could hear was the glug of my paddle slicing through the glass waters and a multitude of birds in full song as I casually meandered my way on the Maria River this morning. I am working my way home ever so slowly and I just wish I had another few days ( more like weeks really!) to reunite myself this this stunning region. This is just a taste, as I will be back up here camping in twelve weeks time for our annual Christmas Holidays. So much see, so much to do!